ആൽഫ്രഡ് നോബൽ ഏർപ്പെടുത്തിയ അഞ്ച് നോബൽ സമ്മാനങ്ങളിലൊന്നാണ് ഭൗതികശാസ്ത്രത്തിനുള്ള നോബൽ സമ്മാനം (ഇംഗ്ലീഷ്: Nobel Prize in Physics, സ്വീഡിഷ്: Nobelpriset i fysik). ഭൗതികശാസ്ത്രത്തിന് നൽകിയ ഏറ്റവും മികച്ച സംഭാവനകൾക്ക് റോയൽ സ്വീഡിഷ് അക്കാദമി ഓഫ് സയൻസസ് എല്ലാ വർഷവും ഈ പുരസ്കാരം നൽകുന്നു. നോബൽ ഫൗണ്ടേഷന്റെ പേരിൽ റോയൽ സ്വീഡിഷ് അക്കാഡമി ഓഫ് സയൻസസ് നൽകുന്ന ഈ പുരസ്കാരത്തിന്റെ ജേതാവിനെ തീരുമാനിക്കുന്നത് ഭൗതികശാസ്ത്രത്തിനായുള്ള നോബൽ കമ്മിറ്റിയാണ്. അക്കാഡമി തിരഞ്ഞെടുക്കുന്ന അഞ്ചു പേരാണ് ഈ കമ്മിറ്റിയിലുള്ളത്. 1901 മുതൽ നോബലിന്റെ മരണവാർഷികദിനമായ ഡിസംബർ 10-ന് സ്റ്റോക്ക്‌ഹോമിൽ വച്ചാണ് ഈ അവാർഡ് നൽകുന്നത്. ഭൗതികശാസ്ത്രത്തിനുള്ള നോബൽ സമ്മാനം നേടിയവരുടെ പട്ടിക. 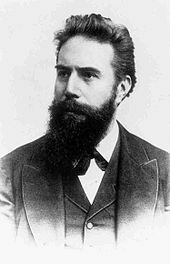 1901 Wilhelm Conrad Röntgen Germany "in recognition of the extraordinary services he has rendered by the discovery of the remarkable rays subsequently named after him"
1902 Hendrik Lorentz Netherlands "in recognition of the extraordinary service they rendered by their researches into the influence of magnetism upon radiation phenomena"
1903 Antoine Henri Becquerel France "for his discovery of spontaneous radioactivity"
Pierre Curie France "for their joint researches on the radiation phenomena discovered by Professor Henri Becquerel"
1904 Lord Rayleigh United Kingdom "for his investigations of the densities of the most important gases and for his discovery of argon in connection with these studies"
Germany "for his work on cathode rays"
1906 Joseph John Thomson United Kingdom "for his theoretical and experimental investigations on the conduction of electricity by gases"
1907 Albert Abraham Michelson United States "for his optical precision instruments and the spectroscopic and metrological investigations carried out with their aid"
1908 Gabriel Lippmann France "for his method of reproducing colours photographically based on the phenomenon of interference"
1909 Guglielmo Marconi Italy "for their contributions to the development of wireless telegraphy"
1910 Johannes Diderik van der Waals Netherlands "for his work on the equation of state for gases and liquids"
1911 Wilhelm Wien Germany "for his discoveries regarding the laws governing the radiation of heat"
1912 Nils Gustaf Dalén Sweden "for his invention of automatic valves designed to be used in combination with gas accumulators in lighthouses and buoys"
1913 Heike Kamerlingh-Onnes Netherlands "for his investigations on the properties of matter at low temperatures which led, inter alia, to the production of liquid helium"
1914 Max von Laue Germany "For his discovery of the diffraction of X-rays by crystals", an important step in the development of X-ray spectroscopy. 1918 Max Planck Germany "for the services he rendered to the advancement of physics by his discovery of energy quanta"
1919 Johannes Stark Germany "for his discovery of the Doppler effect in canal rays and the splitting of spectral lines in electric fields"
1920 Charles Édouard Guillaume Switzerland "for the service he has rendered to precision measurements in physics by his discovery of anomalies in nickel-steel alloys"
Switzerland "for his services to theoretical physics, and especially for his discovery of the law of the photoelectric effect"
1922 Niels Bohr Denmark "for his services in the investigation of the structure of atoms and of the radiation emanating from them"
1923 Robert Andrews Millikan United States "for his work on the elementary charge of electricity and on the photoelectric effect"
1924 Manne Siegbahn Sweden "for his discoveries and research in the field of X-ray spectroscopy"
1925 James Franck Germany "for their discovery of the laws governing the impact of an electron upon an atom"
1926 Jean Baptiste Perrin France "for his work on the discontinuous structure of matter, and especially for his discovery of sedimentation equilibrium"
1927 Arthur Holly Compton United States "for his discovery of the effect named after him"
Charles Thomson Rees Wilson United Kingdom "for his method of making the paths of electrically charged particles visible by condensation of vapour"
1928 Owen Willans Richardson United Kingdom "for his work on the thermionic phenomenon and especially for the discovery of the law named after him"
1929 Louis Victor Pierre Raymond, 7th Duc de Broglie France "for his discovery of the wave nature of electrons"
1930 Chandrasekhara Venkata Raman British Raj "for his work on the scattering of light and for the discovery of the effect named after him"
1932 Werner Heisenberg Germany "for the creation of quantum mechanics, the application of which has, inter alia, led to the discovery of the allotropic forms of hydrogen"
1933 Erwin Schrödinger Austria "for the discovery of new productive forms of atomic theory"
1935 James Chadwick United Kingdom "for the discovery of the neutron"
1936 Victor Francis Hess Austria "for his discovery of cosmic radiation"
Carl David Anderson United States "for his discovery of the positron"
1937 Clinton Joseph Davisson United States "for their experimental discovery of the diffraction of electrons by crystals"
1938 Enrico Fermi Italy "for his demonstrations of the existence of new radioactive elements produced by neutron irradiation, and for his related discovery of nuclear reactions brought about by slow neutrons"
1939 Ernest Lawrence United States "for the invention and development of the cyclotron and for results obtained with it, especially with regard to artificial radioactive elements"
1943 Otto Stern United States "for his contribution to the development of the molecular ray method and his discovery of the magnetic moment of the proton"
1944 Isidor Isaac Rabi United States "for his resonance method for recording the magnetic properties of atomic nuclei"
1945 Wolfgang Pauli Austria "for the discovery of the Exclusion Principle, also called the Pauli principle"
1946 Percy Williams Bridgman United States "for the invention of an apparatus to produce extremely high pressures, and for the discoveries he made there within the field of high pressure physics"
1947 Edward Victor Appleton United Kingdom "for his investigations of the physics of the upper atmosphere especially for the discovery of the so-called Appleton layer"
1948 Patrick Maynard Stuart Blackett United Kingdom "for his development of the Wilson cloud chamber method, and his discoveries therewith in the fields of nuclear physics and cosmic radiation"
1949 Hideki Yukawa Japan "for his prediction of the existence of mesons on the basis of theoretical work on nuclear forces"
1950 Cecil Frank Powell United Kingdom "for his development of the photographic method of studying nuclear processes and his discoveries regarding mesons made with this method"
1951 John Douglas Cockcroft United Kingdom "for their pioneer work on the transmutation of atomic nuclei by artificially accelerated atomic particles"
United States "for their development of new methods for nuclear magnetic precision measurements and discoveries in connection therewith"
1953 Frits Zernike Netherlands "for his demonstration of the phase contrast method, especially for his invention of the phase contrast microscope"
United Kingdom "for his fundamental research in quantum mechanics, especially for his statistical interpretation of the wavefunction"
Walther Bothe West Germany "for the coincidence method and his discoveries made therewith"
1955 Willis Eugene Lamb United States "for his discoveries concerning the fine structure of the hydrogen spectrum"
Polykarp Kusch United States "for his precision determination of the magnetic moment of the electron"
1956 John Bardeen United States "for their researches on semiconductors and their discovery of the transistor effect"
United States "for their penetrating investigation of the so-called parity laws which has led to important discoveries regarding the elementary particles"
1958 Pavel Alekseyevich Cherenkov Soviet Union "for the discovery and the interpretation of the Cherenkov effect"
1959 Emilio Gino Segrè Italy "for their discovery of the antiproton"
1960 75px Donald Arthur Glaser United States "for the invention of the bubble chamber"
1961 Robert Hofstadter United States "for his pioneering studies of electron scattering in atomic nuclei and for his thereby achieved discoveries concerning the structure of the nucleons"
Rudolf Ludwig Mössbauer West Germany "for his researches concerning the resonance absorption of gamma radiation and his discovery in this connection of the effect which bears his name"
1962 Lev Davidovich Landau Soviet Union "for his pioneering theories for condensed matter, especially liquid helium"
United States "for his contributions to the theory of the atomic nucleus and the elementary particles, particularly through the discovery and application of fundamental symmetry principles"
Maria Goeppert-Mayer United States "for their discoveries concerning nuclear shell structure"
1964 Nicolay Gennadiyevich Basov Soviet Union "for fundamental work in the field of quantum electronics, which has led to the construction of oscillators and amplifiers based on the maser–laser principle"
1965 75px Richard Phillips Feynman United States "for their fundamental work in quantum electrodynamics (QED), with deep-ploughing consequences for the physics of elementary particles"
1966 Alfred Kastler France "for the discovery and development of optical methods for studying Hertzian resonances in atoms"
1967 Hans Albrecht Bethe United States "for his contributions to the theory of nuclear reactions, especially his discoveries concerning the energy production in stars"
1968 Luis Walter Alvarez United States "for his decisive contributions to elementary particle physics, in particular the discovery of a large number of resonance states, made possible through his development of the technique of using hydrogen bubble chamber and data analysis"
1969 Murray Gell-Mann United States "for his contributions and discoveries concerning the classification of elementary particles and their interactions"
1970 Hannes Olof Gösta Alfvén Sweden "for fundamental work and discoveries in magneto-hydrodynamics with fruitful applications in different parts of plasma physics"
Louis Néel France "for fundamental work and discoveries concerning antiferromagnetism and ferrimagnetism which have led to important applications in solid state physics"
United Kingdom "for his invention and development of the holographic method"
1972 John Bardeen United States "for their jointly developed theory of superconductivity, usually called the BCS-theory"
1973 Leo Esaki Japan "for their experimental discoveries regarding tunneling phenomena in semiconductors and superconductors, respectively"
Brian David Josephson United Kingdom "for his theoretical predictions of the properties of a supercurrent through a tunnel barrier, in particular those phenomena which are generally known as the Josephson effect"
1974 Martin Ryle United Kingdom "for their pioneering research in radio astrophysics: Ryle for his observations and inventions, in particular of the aperture synthesis technique, and Hewish for his decisive role in the discovery of pulsars"
1975 Aage Bohr Denmark "for the discovery of the connection between collective motion and particle motion in atomic nuclei and the development of the theory of the structure of the atomic nucleus based on this connection"
1976 Burton Richter United States "for their pioneering work in the discovery of a heavy elementary particle of a new kind"
1977 Philip Warren Anderson United States "for their fundamental theoretical investigations of the electronic structure of magnetic and disordered systems"
1978 Pyotr Leonidovich Kapitsa Soviet Union "for his basic inventions and discoveries in the area of low-temperature physics"
Arno Allan Penzias United States "for their discovery of cosmic microwave background radiation"
1979 Sheldon Lee Glashow United States "for their contributions to the theory of the unified weak and electromagnetic interaction between elementary particles, including, inter alia, the prediction of the weak neutral current"
1980 James Watson Cronin United States "for the discovery of violations of fundamental symmetry principles in the decay of neutral K-mesons"
United States "for their contribution to the development of laser spectroscopy"
Kai Manne Börje Siegbahn Sweden "for his contribution to the development of high-resolution electron spectroscopy"
1982 75px Kenneth G. Wilson United States "for his theory for critical phenomena in connection with phase transitions"
United States "for his theoretical studies of the physical processes of importance to the structure and evolution of the stars"
William Alfred Fowler United States "for his theoretical and experimental studies of the nuclear reactions of importance in the formation of the chemical elements in the universe"
1984 Carlo Rubbia Italy "for their decisive contributions to the large project, which led to the discovery of the field particles W and Z, communicators of weak interaction"
1985 Klaus von Klitzing West Germany "for the discovery of the quantized Hall effect"
1986 Ernst Ruska West Germany "for his fundamental work in electron optics, and for the design of the first electron microscope"
Gerd Binnig West Germany "for their design of the scanning tunneling microscope"
1987 Johannes Georg Bednorz West Germany "for their important break-through in the discovery of superconductivity in ceramic materials"
1988 Leon Max Lederman United States "for the neutrino beam method and the demonstration of the doublet structure of the leptons through the discovery of the muon neutrino"
1989 Norman Foster Ramsey United States "for the invention of the separated oscillatory fields method and its use in the hydrogen maser and other atomic clocks"
Hans Georg Dehmelt United States "for the development of the ion trap technique"
1990 Jerome I. Friedman United States "for their pioneering investigations concerning deep inelastic scattering of electrons on protons and bound neutrons, which have been of essential importance for the development of the quark model in particle physics"
1991 Pierre-Gilles de Gennes France "for discovering that methods developed for studying order phenomena in simple systems can be generalized to more complex forms of matter, in particular to liquid crystals and polymers"
Poland "for his invention and development of particle detectors, in particular the multiwire proportional chamber"
1993 Russell Alan Hulse United States "for the discovery of a new type of pulsar, a discovery that has opened up new possibilities for the study of gravitation"
1994 Bertram Brockhouse Canada "for the development of neutron spectroscopy" and "for pioneering contributions to the development of neutron scattering techniques for studies of condensed matter"
Clifford Glenwood Shull United States "for the development of the neutron diffraction technique" and "for pioneering contributions to the development of neutron scattering techniques for studies of condensed matter"
1995 Martin Lewis Perl United States "for the discovery of the tau lepton" and "for pioneering experimental contributions to lepton physics"
Frederick Reines United States "for the detection of the neutrino" and "for pioneering experimental contributions to lepton physics"
1996 David Morris Lee United States "for their discovery of superfluidity in helium-3"
1997 Steven Chu United States "for development of methods to cool and trap atoms with laser light." 1998 Robert B. Laughlin United States "for their discovery of a new form of quantum fluid with fractionally charged excitations"
1999 Gerard 't Hooft Netherlands "for elucidating the quantum structure of electroweak interactions in physics"
2000 Zhores Ivanovich Alferov Russia "for developing semiconductor heterostructures used in high-speed- and optoelectronics"
Jack St. Clair Kilby United States "for his part in the invention of the integrated circuit"
2001 Eric Allin Cornell United States "for the achievement of Bose–Einstein condensation in dilute gases of alkali atoms, and for early fundamental studies of the properties of the condensates"
2002 Raymond Davis, Jr. United States "for pioneering contributions to astrophysics, in particular for the detection of cosmic neutrinos"
United States "for pioneering contributions to astrophysics, which have led to the discovery of cosmic X-ray sources"
United States "for pioneering contributions to the theory of superconductors and superfluids"
2004 David J. Gross United States "for the discovery of asymptotic freedom in the theory of the strong interaction"
2005 Roy J. Glauber United States "for his contribution to the quantum theory of optical coherence"
John L. Hall United States "for their contributions to the development of laser-based precision spectroscopy, including the optical frequency comb technique"
2006 John C. Mather United States "for their discovery of the blackbody form and anisotropy of the cosmic microwave background radiation"
2007 Albert Fert France "for the discovery of giant magnetoresistance"
2008 Makoto Kobayashi Japan "for the discovery of the origin of the broken symmetry which predicts the existence of at least three families of quarks in nature"
United States "for the discovery of the mechanism of spontaneous broken symmetry in subatomic physics"
United States "for groundbreaking achievements concerning the transmission of light in fibers for optical communication"
United States "for the invention of an imaging semiconductor circuit – the CCD sensor"
Netherlands "for groundbreaking experiments regarding the two-dimensional material graphene"
2011 Saul Perlmutter United States "for the discovery of the accelerating expansion of the Universe through observations of distant supernovae"
2012 Serge Haroche France "for ground-breaking experimental methods that enable measuring and manipulation of individual quantum systems." 2013 François Englert Belgium "for the theoretical discovery of a mechanism that contributes to our understanding of the origin of mass of subatomic particles, and which recently was confirmed through the discovery of the predicted fundamental particle, by the ATLAS and CMS experiments at CERN's Large Hadron Collider"
2014 Isamu Akasaki Japan "for the invention of efficient blue light-emitting diodes which has enabled bright and energy-saving white light sources"
2015 Takaaki Kajita Japan "for the discovery of neutrino oscillations, which shows that neutrinos have mass"
United States "for theoretical discoveries of topological phase transitions and topological phases of matter"
↑ "ഭൗതികശാസ്ത്രത്തിനുള്ള നോബൽസമ്മാനം 1901". Nobel Foundation. ശേഖരിച്ചത്: 2008-10-09. ↑ "ഭൗതികശാസ്ത്രത്തിനുള്ള നോബൽസമ്മാനം 1902". Nobel Foundation. ശേഖരിച്ചത്: 2008-10-09. ↑ 4.0 4.1 "ഭൗതികശാസ്ത്രത്തിനുള്ള നോബൽസമ്മാനം 1903". Nobel Foundation. ശേഖരിച്ചത്: 2008-10-09. ↑ "ഭൗതികശാസ്ത്രത്തിനുള്ള നോബൽസമ്മാനം 1904". Nobel Foundation. ശേഖരിച്ചത്: 2008-10-09. ↑ "ഭൗതികശാസ്ത്രത്തിനുള്ള നോബൽസമ്മാനം 1905". Nobel Foundation. ശേഖരിച്ചത്: 2008-10-09. ↑ "ഭൗതികശാസ്ത്രത്തിനുള്ള നോബൽസമ്മാനം 1906". Nobel Foundation. ശേഖരിച്ചത്: 2008-10-09. ↑ "ഭൗതികശാസ്ത്രത്തിനുള്ള നോബൽസമ്മാനം 1907". Nobel Foundation. ശേഖരിച്ചത്: 2008-10-09. ↑ "ഭൗതികശാസ്ത്രത്തിനുള്ള നോബൽസമ്മാനം 1908". Nobel Foundation. ശേഖരിച്ചത്: 2008-10-09. ↑ "ഭൗതികശാസ്ത്രത്തിനുള്ള നോബൽസമ്മാനം 1909". Nobel Foundation. ശേഖരിച്ചത്: 2008-10-09. ↑ "ഭൗതികശാസ്ത്രത്തിനുള്ള നോബൽസമ്മാനം 1910". Nobel Foundation. ശേഖരിച്ചത്: 2008-10-09. ↑ "ഭൗതികശാസ്ത്രത്തിനുള്ള നോബൽസമ്മാനം 1911". Nobel Foundation. ശേഖരിച്ചത്: 2008-10-09. ↑ "ഭൗതികശാസ്ത്രത്തിനുള്ള നോബൽസമ്മാനം 1912". Nobel Foundation. ശേഖരിച്ചത്: 2008-10-09. ↑ "ഭൗതികശാസ്ത്രത്തിനുള്ള നോബൽസമ്മാനം 1913". Nobel Foundation. ശേഖരിച്ചത്: 2008-10-09. ↑ "ഭൗതികശാസ്ത്രത്തിനുള്ള നോബൽസമ്മാനം 1914". Nobel Foundation. ശേഖരിച്ചത്: 2008-10-09. ↑ "ഭൗതികശാസ്ത്രത്തിനുള്ള നോബൽസമ്മാനം 1915". Nobel Foundation. ശേഖരിച്ചത്: 2008-10-09. ↑ "ഭൗതികശാസ്ത്രത്തിനുള്ള നോബൽസമ്മാനം 1917". Nobel Foundation. ശേഖരിച്ചത്: 2008-10-09. ↑ "ഭൗതികശാസ്ത്രത്തിനുള്ള നോബൽസമ്മാനം 1918". Nobel Foundation. ശേഖരിച്ചത്: 2008-10-09. ↑ "ഭൗതികശാസ്ത്രത്തിനുള്ള നോബൽസമ്മാനം 1919". Nobel Foundation. ശേഖരിച്ചത്: 2008-10-09. ↑ "ഭൗതികശാസ്ത്രത്തിനുള്ള നോബൽസമ്മാനം 1920". Nobel Foundation. ശേഖരിച്ചത്: 2008-10-09. ↑ "ഭൗതികശാസ്ത്രത്തിനുള്ള നോബൽസമ്മാനം 1921". Nobel Foundation. ശേഖരിച്ചത്: 2008-10-09. ↑ "ഭൗതികശാസ്ത്രത്തിനുള്ള നോബൽസമ്മാനം 1922". Nobel Foundation. ശേഖരിച്ചത്: 2008-10-09. ↑ "ഭൗതികശാസ്ത്രത്തിനുള്ള നോബൽസമ്മാനം 1923". Nobel Foundation. ശേഖരിച്ചത്: 2008-10-09. ↑ "ഭൗതികശാസ്ത്രത്തിനുള്ള നോബൽസമ്മാനം 1924". Nobel Foundation. ശേഖരിച്ചത്: 2008-10-09. ↑ "ഭൗതികശാസ്ത്രത്തിനുള്ള നോബൽസമ്മാനം 1925". Nobel Foundation. ശേഖരിച്ചത്: 2008-10-09. ↑ "ഭൗതികശാസ്ത്രത്തിനുള്ള നോബൽസമ്മാനം 1926". Nobel Foundation. ശേഖരിച്ചത്: 2008-10-09. ↑ 27.0 27.1 "ഭൗതികശാസ്ത്രത്തിനുള്ള നോബൽസമ്മാനം 1927". Nobel Foundation. ശേഖരിച്ചത്: 2008-10-09. ↑ "ഭൗതികശാസ്ത്രത്തിനുള്ള നോബൽസമ്മാനം 1928". Nobel Foundation. ശേഖരിച്ചത്: 2008-10-09. ↑ "ഭൗതികശാസ്ത്രത്തിനുള്ള നോബൽസമ്മാനം 1929". Nobel Foundation. ശേഖരിച്ചത്: 2008-10-09. ↑ "ഭൗതികശാസ്ത്രത്തിനുള്ള നോബൽസമ്മാനം 1930". Nobel Foundation. ശേഖരിച്ചത്: 2008-10-09. ↑ "ഭൗതികശാസ്ത്രത്തിനുള്ള നോബൽസമ്മാനം 1932". Nobel Foundation. ശേഖരിച്ചത്: 2008-10-09. ↑ "ഭൗതികശാസ്ത്രത്തിനുള്ള നോബൽസമ്മാനം 1933". Nobel Foundation. ശേഖരിച്ചത്: 2008-10-09. ↑ "ഭൗതികശാസ്ത്രത്തിനുള്ള നോബൽസമ്മാനം 1935". Nobel Foundation. ശേഖരിച്ചത്: 2008-10-09. ↑ 34.0 34.1 "ഭൗതികശാസ്ത്രത്തിനുള്ള നോബൽസമ്മാനം 1936". Nobel Foundation. ശേഖരിച്ചത്: 2008-10-09. ↑ "ഭൗതികശാസ്ത്രത്തിനുള്ള നോബൽസമ്മാനം 1937". Nobel Foundation. ശേഖരിച്ചത്: 2008-10-09. ↑ "ഭൗതികശാസ്ത്രത്തിനുള്ള നോബൽസമ്മാനം 1938". Nobel Foundation. ശേഖരിച്ചത്: 2008-10-09. ↑ "ഭൗതികശാസ്ത്രത്തിനുള്ള നോബൽസമ്മാനം 1939". Nobel Foundation. ശേഖരിച്ചത്: 2008-10-09. ↑ "ഭൗതികശാസ്ത്രത്തിനുള്ള നോബൽസമ്മാനം 1943". Nobel Foundation. ശേഖരിച്ചത്: 2008-10-09. ↑ "ഭൗതികശാസ്ത്രത്തിനുള്ള നോബൽസമ്മാനം 1944". Nobel Foundation. ശേഖരിച്ചത്: 2008-10-09. ↑ "ഭൗതികശാസ്ത്രത്തിനുള്ള നോബൽസമ്മാനം 1945". Nobel Foundation. ശേഖരിച്ചത്: 2008-10-09. ↑ "ഭൗതികശാസ്ത്രത്തിനുള്ള നോബൽസമ്മാനം 1946". Nobel Foundation. ശേഖരിച്ചത്: 2008-10-09. ↑ "ഭൗതികശാസ്ത്രത്തിനുള്ള നോബൽസമ്മാനം 1947". Nobel Foundation. ശേഖരിച്ചത്: 2008-10-09. ↑ "ഭൗതികശാസ്ത്രത്തിനുള്ള നോബൽസമ്മാനം 1948". Nobel Foundation. ശേഖരിച്ചത്: 2008-10-09. ↑ "ഭൗതികശാസ്ത്രത്തിനുള്ള നോബൽസമ്മാനം 1949". Nobel Foundation. ശേഖരിച്ചത്: 2008-10-09. ↑ "ഭൗതികശാസ്ത്രത്തിനുള്ള നോബൽസമ്മാനം 1950". Nobel Foundation. ശേഖരിച്ചത്: 2008-10-09. ↑ "ഭൗതികശാസ്ത്രത്തിനുള്ള നോബൽസമ്മാനം 1951". Nobel Foundation. ശേഖരിച്ചത്: 2008-10-09. ↑ "ഭൗതികശാസ്ത്രത്തിനുള്ള നോബൽസമ്മാനം 1952". Nobel Foundation. ശേഖരിച്ചത്: 2008-10-09. ↑ "ഭൗതികശാസ്ത്രത്തിനുള്ള നോബൽസമ്മാനം 1953". Nobel Foundation. ശേഖരിച്ചത്: 2008-10-09. ↑ 49.0 49.1 "ഭൗതികശാസ്ത്രത്തിനുള്ള നോബൽസമ്മാനം 1954". Nobel Foundation. ശേഖരിച്ചത്: 2008-10-09. ↑ 50.0 50.1 "ഭൗതികശാസ്ത്രത്തിനുള്ള നോബൽസമ്മാനം 1955". Nobel Foundation. ശേഖരിച്ചത്: 2008-10-09. ↑ "ഭൗതികശാസ്ത്രത്തിനുള്ള നോബൽസമ്മാനം 1956". Nobel Foundation. ശേഖരിച്ചത്: 2008-10-09. ↑ "ഭൗതികശാസ്ത്രത്തിനുള്ള നോബൽസമ്മാനം 1957". Nobel Foundation. ശേഖരിച്ചത്: 2008-10-09. ↑ "ഭൗതികശാസ്ത്രത്തിനുള്ള നോബൽസമ്മാനം 1958". Nobel Foundation. ശേഖരിച്ചത്: 2008-10-09. ↑ "ഭൗതികശാസ്ത്രത്തിനുള്ള നോബൽസമ്മാനം 1959". Nobel Foundation. ശേഖരിച്ചത്: 2008-10-09. ↑ "ഭൗതികശാസ്ത്രത്തിനുള്ള നോബൽസമ്മാനം 1960". Nobel Foundation. ശേഖരിച്ചത്: 2008-10-09. ↑ 56.0 56.1 "ഭൗതികശാസ്ത്രത്തിനുള്ള നോബൽസമ്മാനം 1961". Nobel Foundation. ശേഖരിച്ചത്: 2008-10-09. ↑ "ഭൗതികശാസ്ത്രത്തിനുള്ള നോബൽസമ്മാനം 1962". Nobel Foundation. ശേഖരിച്ചത്: 2008-10-09. ↑ 58.0 58.1 "ഭൗതികശാസ്ത്രത്തിനുള്ള നോബൽസമ്മാനം 1963". Nobel Foundation. ശേഖരിച്ചത്: 2008-10-09. ↑ "ഭൗതികശാസ്ത്രത്തിനുള്ള നോബൽസമ്മാനം 1964". Nobel Foundation. ശേഖരിച്ചത്: 2008-10-09. ↑ "ഭൗതികശാസ്ത്രത്തിനുള്ള നോബൽസമ്മാനം 1965". Nobel Foundation. ശേഖരിച്ചത്: 2008-10-09. ↑ "ഭൗതികശാസ്ത്രത്തിനുള്ള നോബൽസമ്മാനം 1966". Nobel Foundation. ശേഖരിച്ചത്: 2008-10-09. ↑ "ഭൗതികശാസ്ത്രത്തിനുള്ള നോബൽസമ്മാനം 1967". Nobel Foundation. ശേഖരിച്ചത്: 2008-10-09. ↑ "ഭൗതികശാസ്ത്രത്തിനുള്ള നോബൽസമ്മാനം 1968". Nobel Foundation. ശേഖരിച്ചത്: 2008-10-09. ↑ "ഭൗതികശാസ്ത്രത്തിനുള്ള നോബൽസമ്മാനം 1969". Nobel Foundation. ശേഖരിച്ചത്: 2008-10-09. ↑ 65.0 65.1 "ഭൗതികശാസ്ത്രത്തിനുള്ള നോബൽസമ്മാനം 1970". Nobel Foundation. ശേഖരിച്ചത്: 2008-10-09. ↑ "ഭൗതികശാസ്ത്രത്തിനുള്ള നോബൽസമ്മാനം 1971". Nobel Foundation. ശേഖരിച്ചത്: 2008-10-09. ↑ "ഭൗതികശാസ്ത്രത്തിനുള്ള നോബൽസമ്മാനം 1972". Nobel Foundation. ശേഖരിച്ചത്: 2008-10-09. ↑ 68.0 68.1 "ഭൗതികശാസ്ത്രത്തിനുള്ള നോബൽസമ്മാനം 1973". Nobel Foundation. ശേഖരിച്ചത്: 2008-10-09. ↑ "ഭൗതികശാസ്ത്രത്തിനുള്ള നോബൽസമ്മാനം 1974". Nobel Foundation. ശേഖരിച്ചത്: 2008-10-09. ↑ "ഭൗതികശാസ്ത്രത്തിനുള്ള നോബൽസമ്മാനം 1975". Nobel Foundation. ശേഖരിച്ചത്: 2008-10-09. ↑ "ഭൗതികശാസ്ത്രത്തിനുള്ള നോബൽസമ്മാനം 1976". Nobel Foundation. ശേഖരിച്ചത്: 2008-10-09. ↑ "ഭൗതികശാസ്ത്രത്തിനുള്ള നോബൽസമ്മാനം 1977". Nobel Foundation. ശേഖരിച്ചത്: 2008-10-09. ↑ 73.0 73.1 "ഭൗതികശാസ്ത്രത്തിനുള്ള നോബൽസമ്മാനം 1978". Nobel Foundation. ശേഖരിച്ചത്: 2008-10-09. ↑ "ഭൗതികശാസ്ത്രത്തിനുള്ള നോബൽസമ്മാനം 1979". Nobel Foundation. ശേഖരിച്ചത്: 2008-10-09. ↑ "ഭൗതികശാസ്ത്രത്തിനുള്ള നോബൽസമ്മാനം 1980". Nobel Foundation. ശേഖരിച്ചത്: 2008-10-09. ↑ 76.0 76.1 "ഭൗതികശാസ്ത്രത്തിനുള്ള നോബൽസമ്മാനം 1981". Nobel Foundation. ശേഖരിച്ചത്: 2008-10-09. ↑ "ഭൗതികശാസ്ത്രത്തിനുള്ള നോബൽസമ്മാനം 1982". Nobel Foundation. ശേഖരിച്ചത്: 2008-10-09. ↑ 78.0 78.1 "ഭൗതികശാസ്ത്രത്തിനുള്ള നോബൽസമ്മാനം 1983". Nobel Foundation. ശേഖരിച്ചത്: 2008-10-09. ↑ "ഭൗതികശാസ്ത്രത്തിനുള്ള നോബൽസമ്മാനം 1984". Nobel Foundation. ശേഖരിച്ചത്: 2008-10-09. ↑ "ഭൗതികശാസ്ത്രത്തിനുള്ള നോബൽസമ്മാനം 1985". Nobel Foundation. ശേഖരിച്ചത്: 2008-10-09. ↑ 81.0 81.1 "ഭൗതികശാസ്ത്രത്തിനുള്ള നോബൽസമ്മാനം 1986". Nobel Foundation. ശേഖരിച്ചത്: 2008-10-09. ↑ "ഭൗതികശാസ്ത്രത്തിനുള്ള നോബൽസമ്മാനം 1987". Nobel Foundation. ശേഖരിച്ചത്: 2008-10-09. ↑ "ഭൗതികശാസ്ത്രത്തിനുള്ള നോബൽസമ്മാനം 1988". Nobel Foundation. ശേഖരിച്ചത്: 2008-10-09. ↑ 84.0 84.1 "ഭൗതികശാസ്ത്രത്തിനുള്ള നോബൽസമ്മാനം 1989". Nobel Foundation. ശേഖരിച്ചത്: 2008-10-09. ↑ "ഭൗതികശാസ്ത്രത്തിനുള്ള നോബൽസമ്മാനം 1990". Nobel Foundation. ശേഖരിച്ചത്: 2008-10-09. ↑ "ഭൗതികശാസ്ത്രത്തിനുള്ള നോബൽസമ്മാനം 1991". Nobel Foundation. ശേഖരിച്ചത്: 2008-10-09. ↑ "ഭൗതികശാസ്ത്രത്തിനുള്ള നോബൽസമ്മാനം 1992". Nobel Foundation. ശേഖരിച്ചത്: 2008-10-09. ↑ "ഭൗതികശാസ്ത്രത്തിനുള്ള നോബൽസമ്മാനം 1993". Nobel Foundation. ശേഖരിച്ചത്: 2008-10-09. ↑ 89.0 89.1 "ഭൗതികശാസ്ത്രത്തിനുള്ള നോബൽസമ്മാനം 1994". Nobel Foundation. ശേഖരിച്ചത്: 2008-10-09. ↑ 90.0 90.1 "ഭൗതികശാസ്ത്രത്തിനുള്ള നോബൽസമ്മാനം 1995". Nobel Foundation. ശേഖരിച്ചത്: 2008-10-09. ↑ "ഭൗതികശാസ്ത്രത്തിനുള്ള നോബൽസമ്മാനം 1996". Nobel Foundation. ശേഖരിച്ചത്: 2008-10-09. ↑ "ഭൗതികശാസ്ത്രത്തിനുള്ള നോബൽസമ്മാനം 1997". Nobel Foundation. ശേഖരിച്ചത്: 2008-10-09. ↑ "ഭൗതികശാസ്ത്രത്തിനുള്ള നോബൽസമ്മാനം 1998". Nobel Foundation. ശേഖരിച്ചത്: 2008-10-09. ↑ "ഭൗതികശാസ്ത്രത്തിനുള്ള നോബൽസമ്മാനം 1999". Nobel Foundation. ശേഖരിച്ചത്: 2008-10-09. ↑ 95.0 95.1 "ഭൗതികശാസ്ത്രത്തിനുള്ള നോബൽസമ്മാനം 2000". Nobel Foundation. ശേഖരിച്ചത്: 2008-10-09. ↑ "ഭൗതികശാസ്ത്രത്തിനുള്ള നോബൽസമ്മാനം 2001". Nobel Foundation. ശേഖരിച്ചത്: 2008-10-09. ↑ 97.0 97.1 "ഭൗതികശാസ്ത്രത്തിനുള്ള നോബൽസമ്മാനം 2002". Nobel Foundation. ശേഖരിച്ചത്: 2008-10-09. ↑ "ഭൗതികശാസ്ത്രത്തിനുള്ള നോബൽസമ്മാനം 2003". Nobel Foundation. ശേഖരിച്ചത്: 2008-10-09. ↑ "ഭൗതികശാസ്ത്രത്തിനുള്ള നോബൽസമ്മാനം 2004". Nobel Foundation. ശേഖരിച്ചത്: 2008-10-09. ↑ 100.0 100.1 "ഭൗതികശാസ്ത്രത്തിനുള്ള നോബൽസമ്മാനം 2005". Nobel Foundation. ശേഖരിച്ചത്: 2008-10-09. ↑ "ഭൗതികശാസ്ത്രത്തിനുള്ള നോബൽസമ്മാനം 2006". Nobel Foundation. ശേഖരിച്ചത്: 2008-10-09. ↑ "ഭൗതികശാസ്ത്രത്തിനുള്ള നോബൽസമ്മാനം 2007". Nobel Foundation. ശേഖരിച്ചത്: 2008-10-09. ↑ 103.0 103.1 "ഭൗതികശാസ്ത്രത്തിനുള്ള നോബൽസമ്മാനം 2008". Nobel Foundation. ശേഖരിച്ചത്: 2008-10-09. ↑ 104.0 104.1 "ഭൗതികശാസ്ത്രത്തിനുള്ള നോബൽസമ്മാനം 2009". Nobel Foundation. ശേഖരിച്ചത്: 2009-10-06. ↑ "ഭൗതികശാസ്ത്രത്തിനുള്ള നോബൽസമ്മാനം 2010". Nobel Foundation. ശേഖരിച്ചത്: 2010-10-05. ↑ "ഭൗതികശാസ്ത്രത്തിനുള്ള നോബൽസമ്മാനം 2011". Nobel Foundation. ശേഖരിച്ചത്: 2011-10-04. ↑ "ഭൗതികശാസ്ത്രത്തിനുള്ള നോബൽസമ്മാനം 2012". Nobel Foundation. ശേഖരിച്ചത്: 9 October 2012. ↑ "ഭൗതികശാസ്ത്രത്തിനുള്ള നോബൽസമ്മാനം 2013 Press Release" (PDF). Nobel Foundation. ശേഖരിച്ചത്: 2013-10-08. ↑ "ഭൗതികശാസ്ത്രത്തിനുള്ള നോബൽസമ്മാനം 2014". Nobel Foundation. ശേഖരിച്ചത്: 2014-10-07. ↑ "ഭൗതികശാസ്ത്രത്തിനുള്ള നോബൽസമ്മാനം 2015". Nobel Foundation. ശേഖരിച്ചത്: 2015-10-05. ↑ "ഭൗതികശാസ്ത്രത്തിനുള്ള നോബൽസമ്മാനം 2016". Nobel Foundation. ശേഖരിച്ചത്: 2016-10-04. ഈ താൾ അവസാനം തിരുത്തപ്പെട്ടത്: 16:33, 29 ജനുവരി 2018.